Paris St Germain made seemingly short work of securing the Ligue 1 title by beating Monaco 7-1 on Sunday evening. Giovani Lo Celso and Angel Di Maria scored twice each, Edinson Cavani and Julian Draxler added to the rout and there was even an own-goal from Radamel Falcao. Unai Emery's team were merciless as they put away four unanswered goals between the 14th and 28th minutes, and Rony Lopes' consolation before half-time provided only a pause in the beating rather than an end to it. 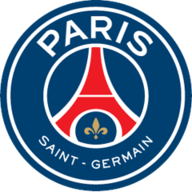 That left PSG 17 points clear of their opponents at the summit, an unassailable advantage with five games to play. The hosts settled into their groove quickly and served notice when Cavani slipped into a wonderful position only to miss the target entirely. That hardly mattered, though, with Monaco conceding their first soon after. It was a passing move of true finesse, cutting a gap through the red shirts before a deft touch from Cavani and a low ball from Dani Alves left Lo Celso to tap home. It was a suitably artistic way to get the ball rolling and number two took just three minutes to follow. This time Monaco abandoned the left channel, allowing Yuri Berchiche to line up a hard, flat cross. Cavani read it quicker than either of the defenders in his vicinity and rose to nod a header low into the bottom corner. Monaco were shell-shocked and quickly coughed up a third, holding an inexplicably high line only to be comprehensively sprung when the brilliant Cavani hooked a pass into Di Maria's run. The Argentinean raced into a one-on-one situation with Danijel Subasic and, just as he reached the edge of the area, produced an impudent chip. PSG were on fire and it cannot have come as any surprise when they conjured a fourth with just 27 minutes gone. Javier Pastore was the creator this time, flicking a cross off the outside of his right boot after a one-two, with Lo Celso heading home. The procession was briefly halted when Djibril Sidibe required treatment and was eventually replaced by Rachid Ghezzal. 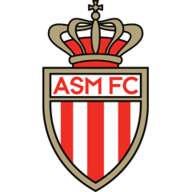 Monaco did hit back with something tangible before the break, Almamy Toure picking out Lopes for an easy finish. Lopes missed further chances either side of the interval, powering one over and seeing the other saved by Alphonse Areola, before Di Maria restored the four-goal cushion. Alves whipped the ball upfield, Pastore touched it into Di Maria's path and the final touch was clinical. Di Maria's search for a hat-trick ended in vain, though not before he hit the post and drew a fine save from Subasic. PSG's sixth came off Falcao, who diverted past his own goalkeeper when Lo Celso's corner missed its original target, Thiago Silva. That seemed sure to be the final insult but Draxler had one more in the closing moments with a deflected effort that left the Parisians in seventh heaven.